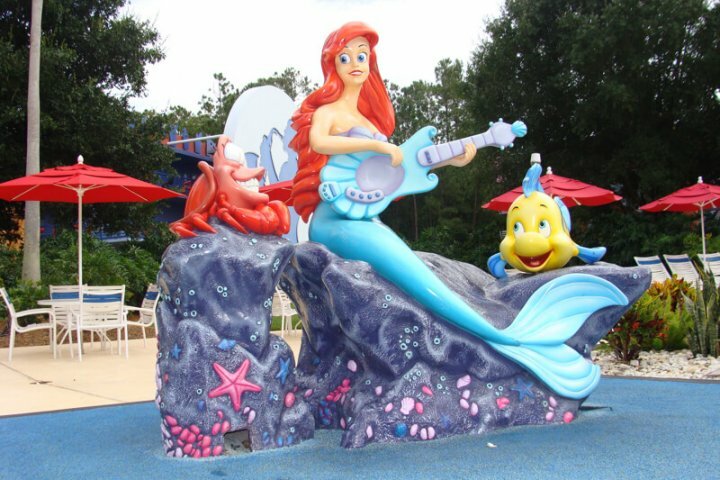 In this review of Disney’s All Star Music Resort, Jenn, from Will Save For Travel, shares her experience staying at this Disney Value Resort. Disney’s All Star Music Resort is one of 5 Value Resorts located on Disney property. They are close to the Animal Kingdom, and a cost-effective way to get all the perks that staying on Disney property has to offer! We recommend Under Cover Tourist for great discounts on Disney Resort Hotels! Click here to compare their prices with Disney rack rates. The price of All Star Music Resort varies depending on if it’s high or low season, but you can expect it to cost around $100- $185 a night. The resort is made up of several buildings that are motel style. We stayed in a standard room in the Rock Inn section near the back of the resort. It was quiet, but a 5-minute walk from the main building. It was close to the smaller piano pool, which we really enjoyed! If you want to stay in a preferred room, they are in the Calypso and Jazz Inn sections. These rooms are about 260 square feet, a bit on the small side for 4 people but perfect for 2! They have 2 double beds, a small table, a TV, a small fridge, a safe, ironing board and iron, along with a bathroom and separate sink area. Save $45 on a Disney World 4-Day Park Hopper! Hop through all 4 parks. The All Star music also has family suites! They are also located in the Calypso and Jazz Inn buildings. They are 520 square feet and fit up to 6 people. The living room area has a sofa that is a pull out bed, a chair and ottoman that turn into 2 twin sleepers, a TV, a table, a small kitchenette with a small fridge, microwave, and a coffee maker. These rooms have 2 bathrooms. The bedroom area has a queen-sized bed, a second TV, desk and chair. The All Star resorts are scheduled for room refurbishments (they’ve started already on the All Star Movies in February 2018). Rumor has it the rooms will have laminate floors, queen sized beds, with one being a murphy bed to clear up space, a sliding door between the sink area and the room, and USB ports in the plugs! The main building has the Intermission Food Court. It was renovated in 2014, and has lots of seating. They serve breakfast, lunch and dinner 6:30am-12am. There are so many choices of what to eat you wont go hungry! There is no table service restaurant at any of the value resorts. There is also a pool bar, the Singing Spirits, serving wine, beer, and specialty cocktails while you lounge by the pool. There are two pools; the main larger pool is the Calypso pool, where you’ll find The Three Caballeros, occasionally shooting water at swimmers. There is also a kiddie area for the little ones! The smaller piano pool is closer to the back of the resort and much less crowded. We really enjoyed this one! The main building, Melody Hall has an arcade, and Maestro Mickey’s gift shop, in addition to the front desk check in area. The only way from the All Star Music to the parks is by bus. Buses pick up and drop off outside of Melody Hall, and there are screens that tell you when the next bus is due to arrive. Buses can get crowded at peak times, but usually you don’t have to wait too long. You may have to share a bus with the other 2 All Star resorts in non-busy times, but we have only encountered this twice. There is parking onsite if you wish to drive yourself to the parks, however they charge a fee of $13 per night. The All Star Music isn’t my favorite of the All Star resorts, but it’s perfect if you aren’t spending much time in your room! 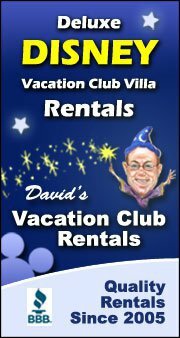 Coming from Canada, we try to save money where we can, and the Value resorts enable us to return more often. I love the theme of this resort! That Little Mermaid statue is so much fun. We are staying at Port Orleans soon but I wish I could stay at them all! I am looking forward to some resort hopping! I know Clare, FOMO is such a problem for me when it comes to Disney and Disney resorts. You will love Port Orleans, but it is a blast to take a day and resort hop! My kids love visiting all the Value resorts as they have the best kid theming…and mom and dad kinda like it too!